Suprajit Group consists of Suprajit Engineering Ltd., Suprajit Automotive Ltd., Suprajit Europe Ltd. and Pheonix Lamps Ltd. The group is a leader in the automotive cable industry. With most of the manufacturing capacities based in India, the group provides technical and logistical support globally. It even provides optimal product development and manufacturing solutions to its domestic and international customers. The group has grown at a CAGR of over 30% and has the manufacturing capacities to produce 150 million cables annually. Below figure enlists the key milestones achieved by Suprajit Engineering since its inception. Moreover, if we look at the shareholding pattern of Suprajit Engineering, the majority of it is owned by promoters. Within the public shareholding, a large chunk of about 8.4% is owned by Mutual Funds and Banks. Further, non-institutions hold about 38.35%, taking the entire public shareholding to 52.63% (=38.35% + 8.4% + 5.88%, which is owned by FIIs). Over the past one and a half decade, Suprajit Engineering has diversified its revenue segments tothe overall business attractive as well as to reduce the overall risk. Since 2001-02 the company has reduced its dependence from two-wheeler segment (96.5% in 2001-02 to 52.0% in 2015-16). This reduction has allowed the company to venture into different forays like aftermarket and non-automotive businesses. If we observe the revenues geographically, over the past one and half decade Suprajit Engineering has reduced its global dependence from 99% in 2001-02 to 81% in 2015-16. In this section, we cover the various brands of Suprajit Group – esp. 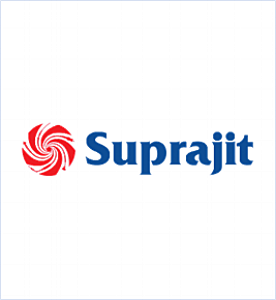 Suprajit Engineering Ltd., Suprajit Automotive Ltd., Suprajit Europe Ltd. and Phoenix Lamps Ltd.
Suprajit Engineering:Suprajit Engineering was incorporated as a Pvt Ltd. company in 1985 manufactures high quality automotive cables. It has a total of 15 manufacturing facilities in India including EOU for non-automotive. The brand has over three decades of experience in cables with current annual capacity of over 150 million cables (turnover of about USD100 million). Suprajit Automotive: Suprajit Automotive is located near Bangalore in India and is a 100% export oriented subsidiary of Suprajit Engineering. The company specializes in the manufacture of large scale cables to marquee customers globally. Suprajit Europe:Suprajit Europe is based in Tamworth in the United Kingdom and is the group’s technical center to the western world. The company has over seven decades of experience in the manufacturing of cables. Suprajit Europe acts as an intermediary for the global operations of the group with capabilities like research and development, prototyping, warehousing and small volume specialist cable manufacturing facilities. Pheonix Lamps:Pheonix Lamps (earlier known as Halonix Ltd.) is one of the largest manufacturers of Automotive lighting. The company has three state-of-the-art manufacturing facilities and with the help of these facilities it caters to the increasing demand of the products in Aftermarket, OEM market globally. The company is in top 5 for the Halogen headlamps and produces about 87 million lamps annually. Pheonix Lamps exports to over 50 countries with 50+ private labels across the globe. Strong brands are – Pheonix, Trifa and Luxlite. The group produces an exhaustive range of mechanical control cables for two wheelers, passenger cars, and commercial vehicles and other non-automotive cables. The group has a capacity of over 150 million cables and even specializes in the production of instruments, speedometers and other parts. Automotive Products: The group is a leading manufacturer in the production of automotive cables and has plants at strategic locations in South, West and North India. It also manufactures cables for exports through its fully owned export oriented subsidiary – Suprajit Automotive Ltd. Some of the key cables are shown in the figure below. Instruments: The group specializes in the manufacture of mechanical gauges like tachometers, speedometers, fuel gauges and other instruments. The group has specialized manufacturing facility in Bangalore which has excellent research and development capabilities at the same time satisfying the stringent requirements. Aftermarket: The group has set up a PAN India network via which it distributes original equipment products to the retail industry. It has over 200 stockists all over the country and via which it is able to provide quality and authentic products to the end customers. The group recently acquired Wescon Controls, which is a leading designer and manufacturer of mission-critical mechanical and electronic controls for outdoor power equipment and other non-automotive markets. Wescon Controls has plants in USA and Mexico and follows a vertically integrated approach to product design and manufacturing – allowing the company to provide superior control of product design, component supply and output quality. Wide Customer base – In terms of clientele – the company has a broad range of clients (from automotive industry and non-automotive industry as well) whom the company serves. Geographically, the group even has a well mix of both domestic as well as global clients. Diversifiable revenue streams – Suprajit Engineering has a diversified revenue streams from automotive cables, non-automotive cables to halogen lamps and other mechanical devices. A rich product mix is one of the key strengths of this company. In-house manufacturing facilities – Overall, the group has 16 in-house manufacturing facilities via which it produces cables, lamps and other special equipments. Moreover, the company enjoys the benefits arising from economies of scale.